The World Health Organization has posted its weekly Sitrep on Zika, Microcephaly and Guillain-Barré syndrome. I've only posted the summary, follow the link to download and read the full 6-page PDF report. 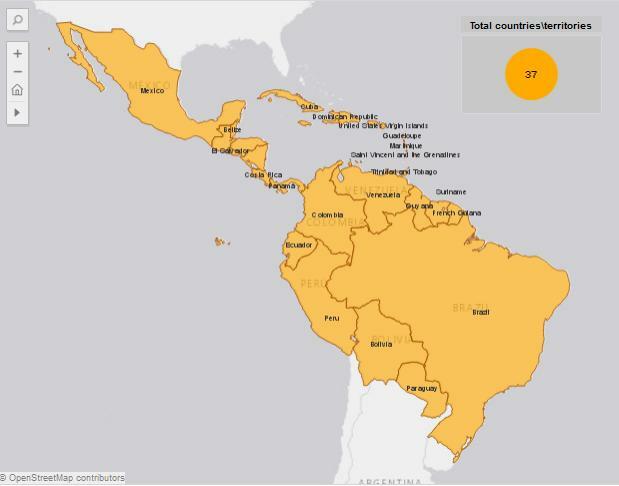 44 countries are experiencing a first outbreak of Zika virus since 2015, with no previous evidence of circulation, and with ongoing transmission by mosquitoes. 13 countries reported evidence of Zika virus transmission between 2007 and 2014, with ongoing transmission. 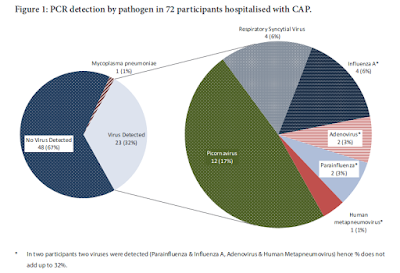 Four countries or territories have reported an outbreak since 2015 that is now over: Cook Islands, French Polynesia, ISLA DE PASCUA – Chile and YAP (Federated States of Micronesia). Nine countries have reported evidence of person-to-person transmission of Zika virus, probably via a sexual route. In the week to 4 May 2016, Peru and Saint Barthélemy are the latest country and territory to report mosquito-borne Zika virus transmission. Microcephaly and other fetal malformations potentially associated with Zika virus infection or suggestive of congenital infection have been reported in six countries or territories. Two cases, each linked to a stay in Brazil, were detected in Slovenia and the United States of America. One additional case, linked to a brief stay in Mexico, Guatemala and Belize, was detected in a pregnant woman in the United States of America. A case in Marshall Islands was also recently reported and is awaiting confirmation. In the context of Zika virus circulation, 13 countries and territories worldwide have reported an increased incidence of Guillain-Barré syndrome (GBS) and/or laboratory confirmation of a Zika virus infection among GBS cases. Based on research to date, there is scientific consensus that Zika virus is a cause of microcephaly and GBS. The global prevention and control strategy launched by the World Health Organization (WHO) as a Strategic Response Framework encompasses surveillance, response activities and research. Key interventions are being undertaken jointly by WHO and international, regional and national partners in response to this public health emergency. Incident managers from the six WHO Regional Offices and headquarters, as well as relevant technical and support staff, are meeting in Washington D.C., USA on 4 and 5 May 2016 to review past and ongoing activities, to discuss key lessons and to develop a strategy for future action to ensure that the response collaboration continues to work effectively. WHO has developed new advice and information on diverse topics in the context of Zika virus. WHO’s latest information materials, news and resources to support risk communication, and community engagement are available online.